Accelerating ScienceAdvancing Materials / Polymer/Plastics / Are Santa's Toys Safe? Today’s article has been co-authored by Jonathan Margalit, Business Development Manager for the Portable Analytical Instrument Group of Thermo Fisher Scientific, and Kathy Callaghan, Senior Marketing Communication Specialist for the Molecular Spectroscopy Group of Thermo Fisher Scientific. Last week, the Consumer Products Safety Commission released a memorandum that provides staff responses to the questions for the record from Commissioner Buerkle about the Notice of Proposed Rulemaking (NPR) for the Prohibition of Children’s Toys and Child Care Articles Containing Specified Phthlates. The CPSC has long been involved in children’s safety, including testing toys made of plastic or containing paint. Every year, billions of dollars in children’s products are shipped to U.S. ports. Many of the harmless looking toys have dangerous levels of lead and other chemicals, including phthalates. The CPSC has dedicated resources to eliminating lead from plastic toys and in fact, announced in November that “The United States Consumer Product Safety Commission (CPSC), Health Canada and the Consumer Protection Agency of the United Mexican States (Profeco) are joining forces this year to protect children across North America from dangerous toys. Strong safety standards that are enforced, inspections at import, and emphasis on quality safety manufacturing overseas are key components of this collaborative effort aimed at creating a safer toy shopping marketplace for North America’s families this holiday season.” According to the CPSC more than $800 million worth of toys, games, and children’s vehicles are coming from Canada and Mexico into the United States each year. You can see a video here of how the CPSC uses handheld XRF analyzers at ports so they can check for lead before the toys reach children. Phthalates are a family of chemicals that soften and increase the flexibility of plastic and vinyl. Phthalates are used in hundreds of consumer items, including rubber ducks and other children’s products. Recent evidence that certain phthalate plasticizers may cause health problems, particularly in children, has resulted in many countries prohibiting the use of phthalates in toys. FT-IR spectroscopy is being used to rapidly identify the presence of phthalates in plastics at the levels commonly found in commercial products including toys. Recently, enhanced sensitivity to detect phthalates by FT-IR has been developed. 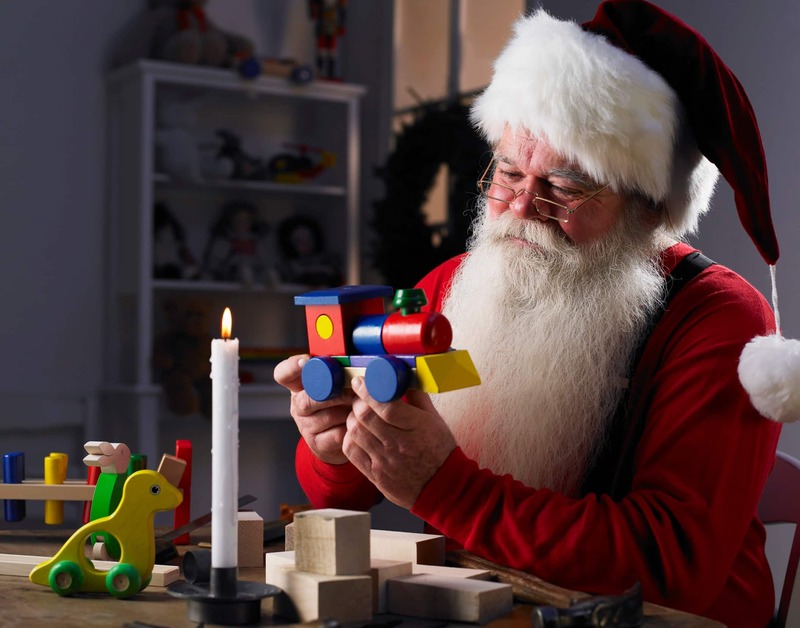 I’m sure the CPSC doesn’t need to monitor shipments from the North Pole, but Santa and his elves are glad there are handheld XRF analyzers and FT-IR instruments in use for toys that are not made in his workshop. Read the Memorandum of Responses to: Prohibition of Children’s Toys and Child Care Articles Containing Specified Phthalates.